It was a great device for a while, but I kept having problems with it... Usually with the screen. I would either accidentally get cleaning alcohol under the glass and ruin the screen, or accidentally break the connector to the ribbon cable for the digitizer when I opened it up, or once I dropped it from a very short distance and the screen cracked. Over all I went through about 3 or 4 used devices in a 2 year span, each one being a frankenstein hackup of spare parts. I just couldn't maintain one that worked, it seemed. Also the D-Pad was a bit weird, you could technically press all 4 directions at the same time which was weird for shmups. So I pretty much only used it for platformers. It's also aging now and the CPU is a bit slow. Looks fine actually, except they are incredibly difficult to get hold of! It's almost like the company makes small production runs of them and then once they sell them all, you can't get them anymore. So even though sites like Willgoo would show them in the list, they would always be "out of stock". Clearly inspired by the Nintendo 3DS design. 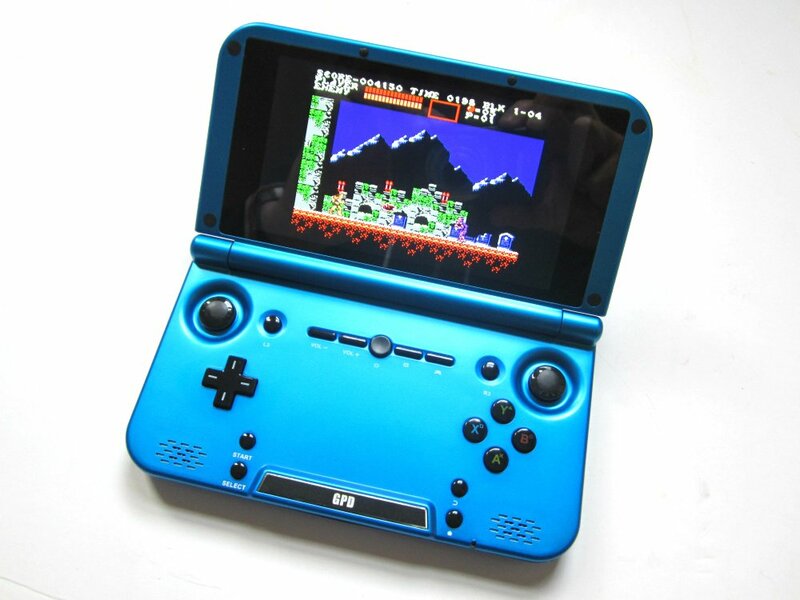 Looking good, and also the clamshell design is great because the screen is less likely to get scratched in storage. So I ordered one the other day. It should be here in a few weeks. Crazy right? 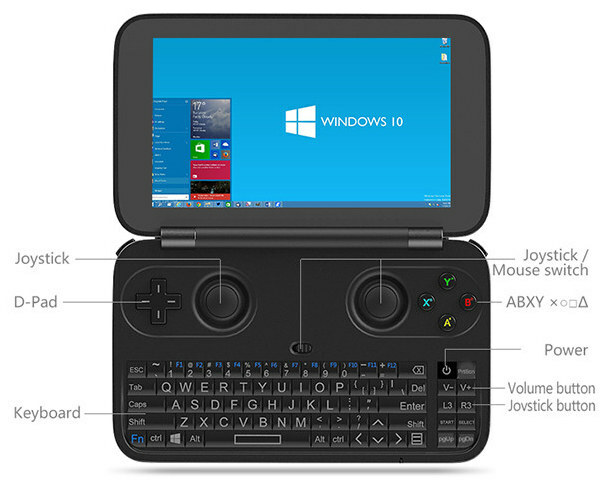 It actually runs an x86 CPU and Windows 10 home. Kinda similar to Pandora, but hopefully this one won't be vaporware. They've already met their fundraising goal and so now it's just a matter of waiting until October until it comes to the market. It's $300 if you pre-order one, and the retail price is supposed to be $500. Hoping it will come down after a while though. I really can't justify $300 on a device that I won't be receiving for 7 months. 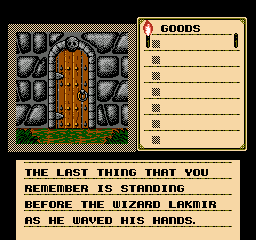 So I've tried some NES emulation lately, and just really haven't been impressed with the performance of emulators in Windows lately. Usually it's either a tradeoff of good control performance, but screen tearing, or when you enable vsync then the video looks good but there is input lag. I actually tried: Virtuanes, FCEUX, Nestopia, Jnes, puNES, nemulator, and wasn't pleased with any of them. Really really strange and sorry, considering that NESticle had it right about 20 years ago in DOS, and NesterJ never gave me any problems on my PSP for the last 10 years. So I even tried "It might be NES" which is a NES emulator for PSX, but I couldn't get it to load in PCSX or EPSXE. 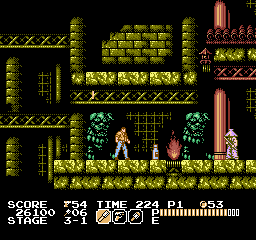 So I did the unthinkable: I tried to use Retroarch, as the instructions in that nintendoage thread say he was able to get perfect NES emulation working on it. (I have had an awful experience with Retroarch before, personally I think the thing is a total disaster of a program)... 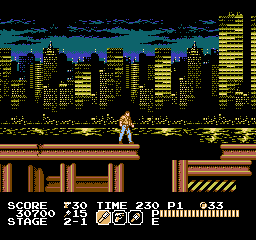 But I thought, for perfect NES it is worth a try. Retroarch did NOT come through for me, it was as sorry as I expected it, popping a "Retroarch.exe has stopped working" as soon as I tried to launch it, for the 64 and 32 bit versions. Whatever. So I figured I would give MESS a try. 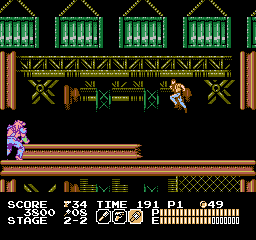 It's a bit weird, being closely linked to MAME, but for consoles. Not a lot of people seem to mention using it for consoles. But it was worth a try. So I installed it, it ran, and I gotta say it's pretty good. It defaulted to vsync off, and so I tested it and there is no noticeable input lag. But interestingly enough, there is also no screen tearing even with vsync off. So I left it off, because I don't want to risk adding input lag with it on. 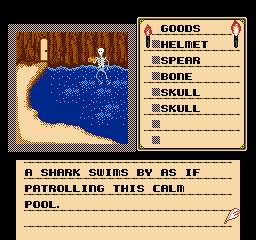 The interface is a bit strange, you actually have to hit tab and go to a file select menu to load each rom as a "virtual cartridge" and then it resets the emulation. A bit strange, but it does work. So, the other day I was thinking about how cool it would be to have a dedicated player for mod/s3m/xm/it music. I have had this dream many times over the years. I'm sure you could do it with raspberry pi (This guy did with some old cassette player as the case). Cute, but a little bit ghetto, and requires work, plus Raspberry pi still costs $25, or if you get the hard to come by $5 pi, it is still going to cost more than that because you need the i/o expansions and stuff. But then an idea came to my head: android devices are ubiquitous, can do virtually anything, and have also come down in price a lot lately. In fact about a month ago I bought an android for $20, an LG Sunrise, pretty much exclusively to use as an mp3 player. But I also got a 32GB micro SD card for it which cost $15, so it was really more like $35. But I thought, maybe there are some even cheaper androids out there? An Indian company claims to be releasing an android phone for 251 rupees which is the equivalent of $3.67!!! What! That doesn't even make sense, a mobile computer for the cost of a cheeseburger? But alas, after a little more reading it turns out the company in question is pretty sketchy and it's unsure whether people will actually be getting their orders. Regardless, I'm in the U.S. so even if I bought it I would have to pay for shipping, which would be much more than $3.67. So I decided to go on ebay and see what I could see... I went to electronics ---> Cell phones and refined my search by new phones only and buy it now. Then I sorted by price. I was surprised to find a seller offering new android phones for only $10 with free shipping. Very very interesting. 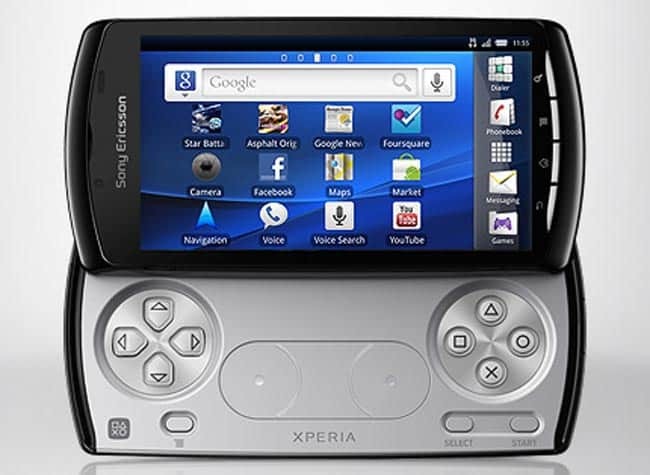 Of course it's not top of the line by any means, but it is indeed an android device and it's only $10!!! It even has bluetooth and GPS which I wouldn't expect from a device this cheap. So last night I ordered one. I mean, why not? You can't go wrong. It'll be a fun little experiment. So of course I bought one there too, lol. Now I'll have two to mess with and run experiments on and use for whatever and it won't even matter if they get broken or lost or whatever. What I don't even understand is how this is even possible. I mean seriously, when I was at Walmart last night, I was looking at audio cables, you know the kind with 3.5mm male ends to use as patch cables between devices, and I wanted one that was colored like blue or green or something... And they were all $10, so I passed up on them because I thought that was too much to pay for a 3ft audio cable. So, somehow it is possible to get an entire mobile computer for the same price as an audio cable? And the phone also comes with a micro USB cable, AC adapter, and of course that 4GB micro SD card. All those things if sold separately would easily cost more than $10. It just doesn't even make sense. So the only thing I can figure out is that these things are being sold at a loss. There is no way they can make money from them, I don't care how cheap of a Chinese factory you use. The economics of it must be: They are expecting to make money from you in the future when you pay for minutes on the phone, so they are selling the phone itself to you at a loss. Really funny for budget hardware enthusiasts like myself who just want little gadgets to play with and have no intentions of ever using it as a mobile phone. I mean seriously... wifi, camera, GPS, music player (of course!!! ), ebook reader, personal digital organizer, even games if you wanted to, and a million other things could be done with this thing... For the cost of a nice chicken salad at a restaurant. 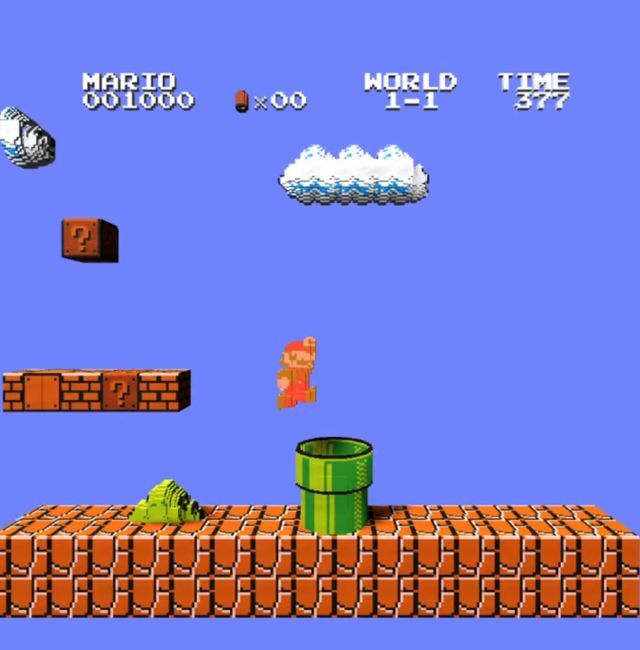 That's not a mock-up or an artists rendering, but an actual in-game screenshot of a new NES emulator that actually translates the games into 3D in realtime. 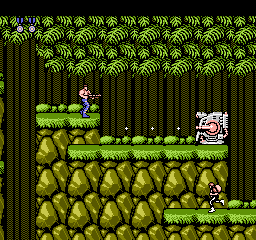 Check out Contra on there, it has shadows and everything! Apparently it's still in beta and doesn't have a downloadable yet, but when it's officially released I'm highly interested in trying this!!! As I sit here, sick, getting over food poisoning or a stomach bug... I haven't eaten in 24 hours and I'm starting to finally take down some water and animal crackers. 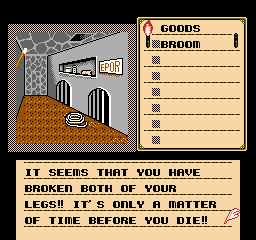 It's a point and click adventure where you have to figure out how to get through a castle. 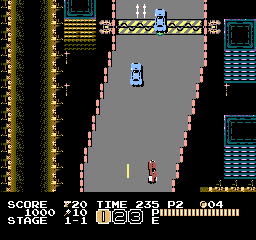 Really cool and classic game. 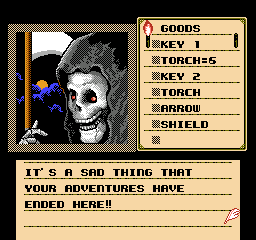 Other similar games for NES were The Uninvited, and Deja Vu... 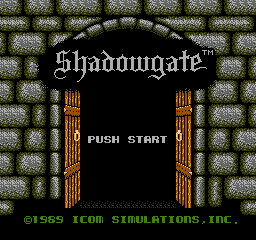 But Shadowgate was my favorite. 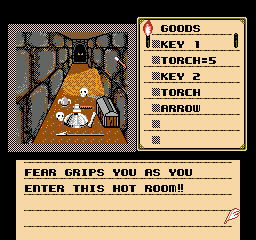 Make sure to take as many torches from the walls as you can, you will need them! Get used to this screen, because you will be seeing it a lot! Fortunately the game lets you continue. Well, I didn't last very long tonight before I gave up, I've gotten a lot further but I just couldn't remember all the secrets. It's very much a game of trying different solutions to different problems. Back when I was a kid, I would learn how to get further by watching my friends play. 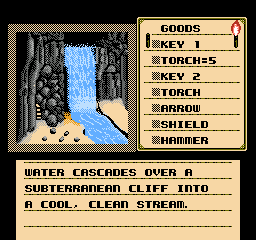 These days I guess you could consult a walkthrough, though that might make it too easy. 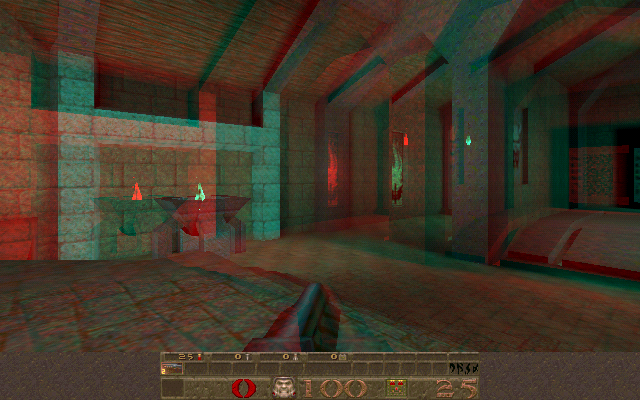 Round 9 - Anaglyph Quake! 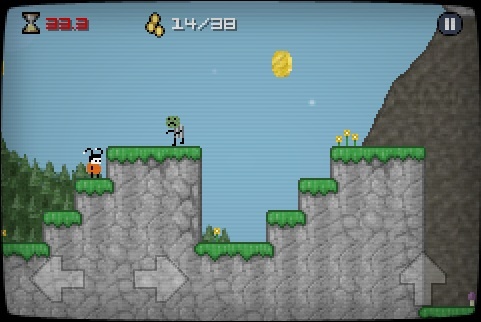 A game that is very familiar to we who have a history rooted in PC gaming. It was nothing short of revolutionary at the time.. 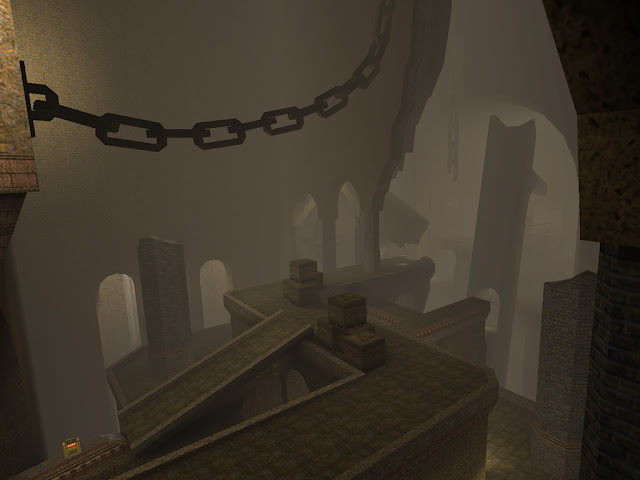 Being one of the first FPS games with mouselook, and one of the first with fully 3D levels. 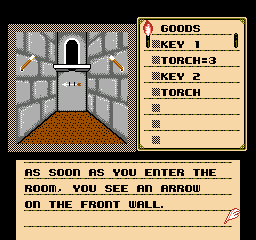 It seems like not a big deal now, but the fact that you could actually go into a room that is above another room was pretty unique at the time! Here's a little info on Anaglyph configuration settings. Use the according cvar to activate the effect. Then you can finetune the effect to match your eyes. The right DEPTH depends on your screen size and your distance from it. 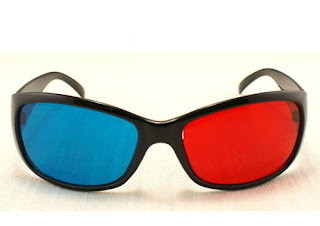 What you do is, remove your red-cyan glasses, start with 5, get close to a wall and find the point where 2 images matches perfectly (no redish-cyanish divergence), if the distance from the wall in the game matches the distance from your screen, then you're good! If not increase the value by 5. What works for me is 30. You also probably want to put more brightness (in Quake's video menu), for me 50% seems to work. The round will go probably close to 2 months, to give us plenty of time to attack this deep game. We will be playing Quake 1 Episode 1, for nostalgia purposes, and then we will be playing the user level Honey, by czg. It is a level with cavernous indoor areas, much bigger than were ever possible on the original Quake 1 engine. These days, many of the newer source ports allow for much larger levels. As for source ports, it appears that A-Lin will be using Quakespasm, and organic io will be using Dark Places. Round starts as of this post, although if our desks and keyboard/mouse configurations aren't finalized yet that's OK. At least the round will be ready once we get everything set up! As far as determining who won... If both players complete a challenge, then tiebreaker information would be needed. I think it would be good to just use the stats at the end of levels (number of kills, secrets, etc). So be ready to take screenshots of your end-level stats! Also we'll be playing everything on "Hard" difficulty. I think that's everything. Let's go go go!! !